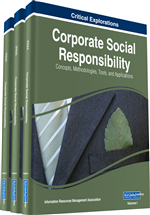 Nowadays, corporate social responsibility (CSR) is gaining popularity due to increased media attention (Baron, 2005; Siegel and Vitaliano, 2007), pressures from various stakeholders (Perez-Batres, Miller, and Pisani, 2011; Adams, 2004; Unerman, 2000), and global policy guidelines such as the United Nations Global Compact (Runhaar and Lafferty, 2009; Kell, 2005). However, its implementation is highly questionable across most developing countries (Ciliberti, Pontrandolfo, and Scozzi, 2008; Qu, 2007; Luken, 2006). Despite being rich in literature, the field has not yet become fully conversant with day-to-day business affairs. There exists a wider gap in CSR preaching and practices in the developed countries in general and in developing countries in particular. Nevertheless, the field is growing as a future business and management discipline, as a large number of global business schools are offering CSR degrees and courses (Memon, Wei, Robson, and Khattak, 2014; Matten and Moon, 2006) to create business culture based on social values rather than focusing only on profiteering (Currie, Knights, and Starkey, 2010; Starkey and Tempest, 2009). CSR has several definitions and considerations. Dahlsrud (2008) defined it “as a concept whereby companies integrate social as well as environmental concerns in their businesses and in their interactions with their stakeholders on a voluntary basis. “According to the World Business Council for Sustainable Development (WBCSD, 1999), CSR refers to the commitment of businesses to contribute to sustainable economic development, working with employees, their families, and society to improve their quality of life. It has been debated the world over for the past several decades, but gained prominence more recently related to the corporate agenda (Smith, 2003). Companies publicize their CSR initiatives to increase their legitimacy and to communicate their corporate values to their important stakeholders (Dawkins and Ngunjiri, 2008). In what manner companies presented their CSR policies and practices was also considered as part of their CSR effort (Podnar, 2008). Using UNGC principles as a reference point, we conducted a survey of 40 CSR award-winning companies through their reported CSR initiatives using company Web sites as a source of secondary data. We did this through content analysis to see to what extent these companies were practically pursuing global guiding principles pertinent to CSR. We selected the sample of these companies so to look at the particular CSR aspects commonly followed or ignored by these companies. The analysis was based on the available CSR-related information on the Web pages of the companies. Given the dismal CSR performance most specifically in developing countries, where CSR compliance or its voluntary adoption is debatable, we found it appropriate to look at the cluster of companies performing relatively better. The study was also a kind of validation of the companies’ award-winning CSR efforts and was purported to be a baseline study for identifying trends in CSR in various businesses in Pakistan. In the next section of this article, we review CSR literature. We then discuss the status of CSR in Pakistan, and present materials used and methods applied to get secondary data. Data analysis is offered, followed by results and discussion, and finally, conclusions are drawn and recommendations are shared.